The innovative internal structure with two thermically independent tanks allows a better mixing of hot and cold water. This structure offers flexibility of heating cycles, reduction in waiting times and a flat size of the water heater. This function decreases the waiting time for the first shower. The shower ready icon will light up when the water heater will have 40 litres at 40°C ready for use. The programming function allows the user to have hot water exactly at the time s/he needs it. 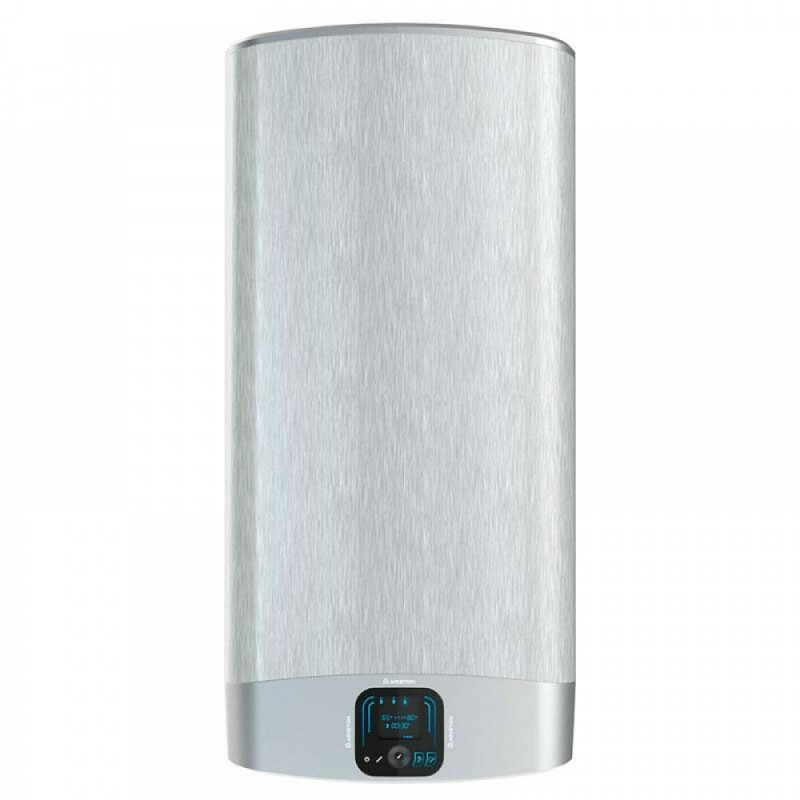 The water heater itself calculates backwards the heating start time so that at the set time the tank will be full of hot water and ready to be used. Thanks to the last generation of auto-learning software ECO EVO powered by CoreTech - The new Ariston advanced electronic thermostat, the water heater autonomously manages the water temperature by recording the users' consumption habits in terms of water usage and timing. In this way the Andris Lux Eco guarantees the Maximum Energy Saving with no compromise on comfort.